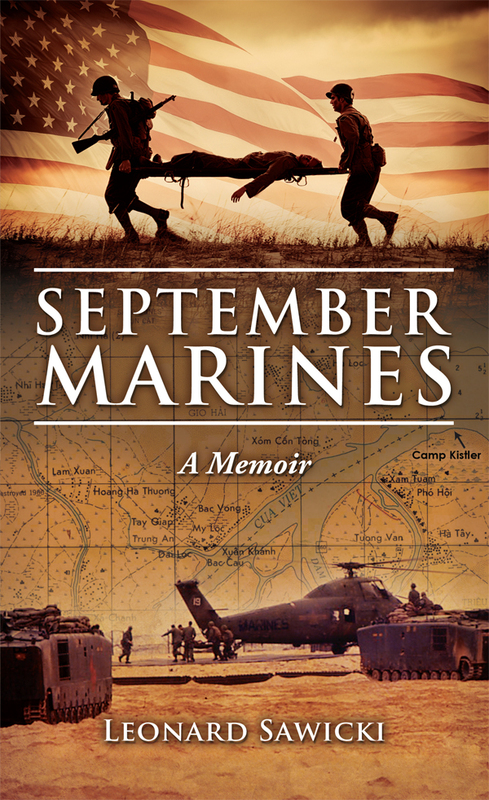 For additional information about this book, visit the website septembermarines.com. A true story of two teenagers sworn into the Marines in Boston, in 1966, who became brothers in Vietnam. Growing up in the fifties and sixties, “We were a people united in the belief that if we learned in school, worked hard, and did the right thing, we’d be all right.” But the Vietnam War complicated any such simplistic beliefs. Leonard Sawicki and others of his generation soon learned the harsh reality: Enlist or be drafted. Sawicki’s firsthand account of how life changed when he enlisted is brutally honest. Basic training was difficult enough—with its overzealous drill sergeants, intense heat, and scorpions—a relationship with an emotionally distraught girlfriend threw Sawicki into a tailspin. Holding on to friendships was another matter. Sawicki experienced significant loss, yet through a series of loves lost and loves found, his is a story of hope and an appreciation for life. Leonard Sawicki lived all his adolescent life in Worcester, Ma. attending two elementary schools. He graduated from South High School Worcester, Ma. class of 1965. Within a year he enlisted in the U.S. Marine Corps. serving under eleven months in the I corps area of South Vietnam in 1967. Upon his honorable discharge he attended Worcester Jr. College and Worcester Industrial Technical Institute seeking a degree in engineering. He re-enlisted in the U.S. Marine Corps Reserve from 1980 to 1990.